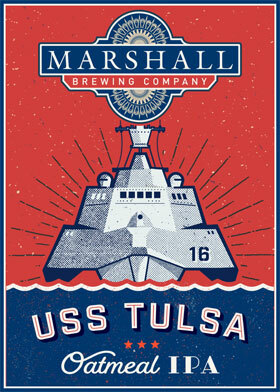 This newfangled IPA was brewed to commemorate the christening of the USS Tulsa. 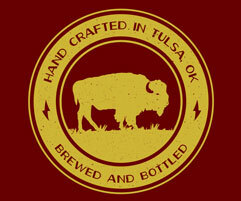 Modern hops Citra, Galaxy, Nelson Sauvin and Topaz combine to offer notes of dark fruit, citrus, passion fruit and peach. 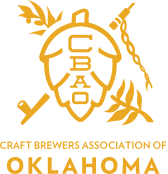 While the hops provide a strong pleasing aroma, they offer far less bitterness than West Coast IPA styles. 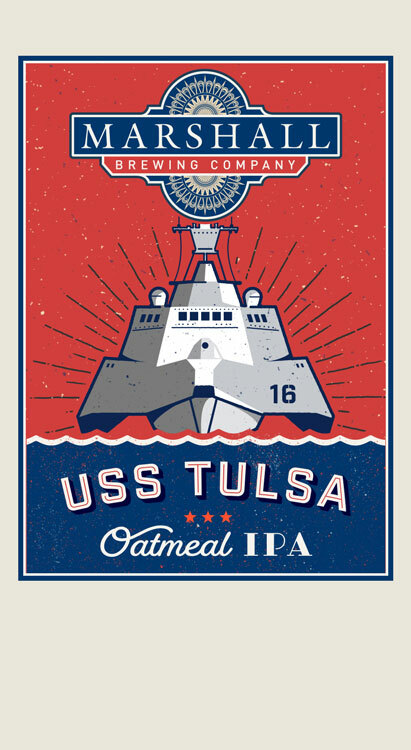 Oatmeal is added during the brewing process to add depth and mouthfeel to the USS Tulsa making her agile yet formidable.